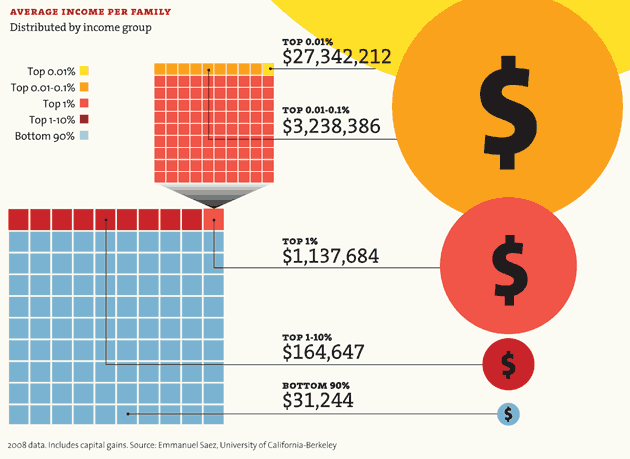 A fantastic series of infographics illustrating just how unequal our country has become, via Mother Jones. THIS is the backdrop against which Wisconsin is happening. If the above image isn't enough to drive the point home, click it to see more infographics.